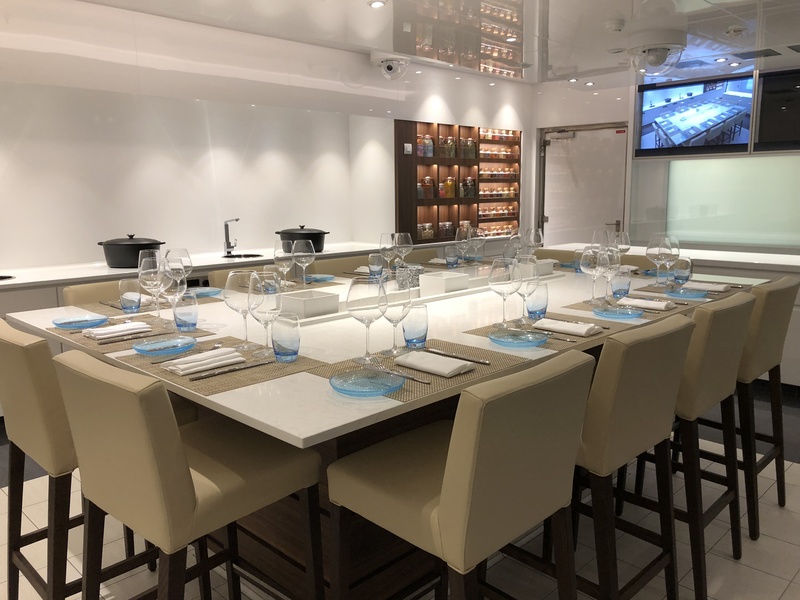 There is a host of casual and formal dining options on board Viking Orion, providing plenty of variety for passengers at all hours of the day. They’re all included in the cruise fare, with no extra supplements payable at even the most upmarket eateries. Wine and beer are also included at mealtimes, and passengers can upgrade to a “Silver Spirits” package for US$20 per day to utilise a more extensive winelist as well as cocktails. 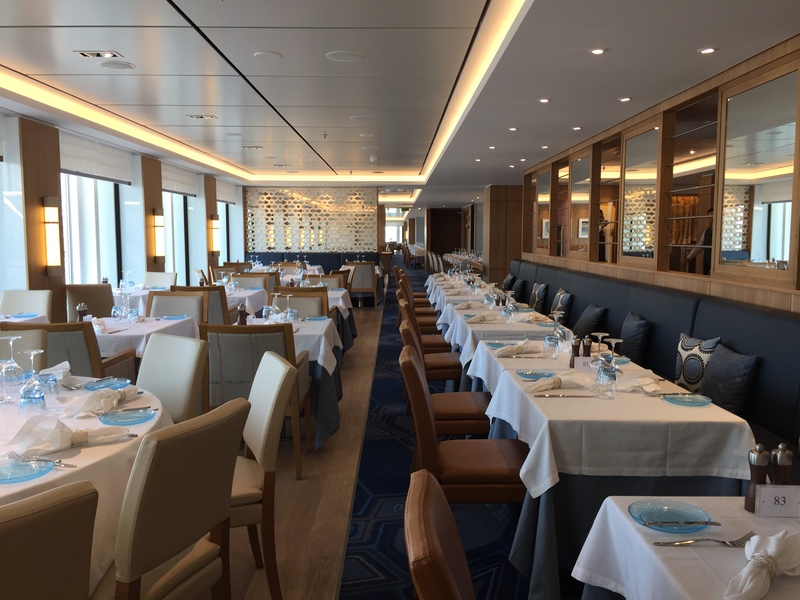 The main dining room is called The Restaurant and is located on Deck 2. It’s arranged with the kitchens in the middle meaning all guests enjoy ocean views, with the menu changing nightly along with seasonal and classic options. Guests can also have a-la-carte breakfast in The Restaurant. Upstairs on deck 7 is the World Cafe, open for breakfast, lunch and dinner with buffet options as well as live cooking stations for pasta, Asian food and other dishes. For special occasions guests can make bookings at the two specialty restaurants located on deck 1. Manfredi’s is an Italian eatery featuring all the classics such as calamari, antipasti, caprese salad and pasta – plus a host of main courses including the awesome Bistecca Fiorentina – a thick cut rib eye coated in garlic oil and rubbed with porcini mushroom powder, kosher salt, brown sugar and red chili flakes. It was our duty to give it a go. Across from Manfredi’s is The Chef’s Table, which features a nightly degustation with wine pairings. The menu changes every three days and is generally themed around the destinations being visited. 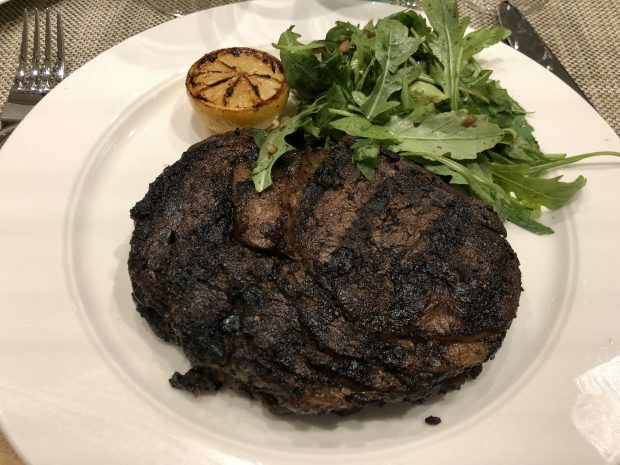 There’s no cover charge for any of the specialty restaurants, and they also both feature a private dining room for larger groups. 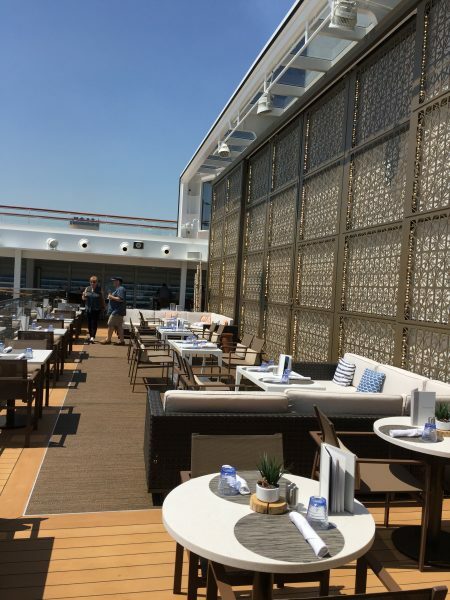 For lunch a popular option is the Pool Grill, which claims to offer the world’s best burgers at sea. There’s also a nice salad bar, and other favourites such as hot dogs and pulled pork rolls. 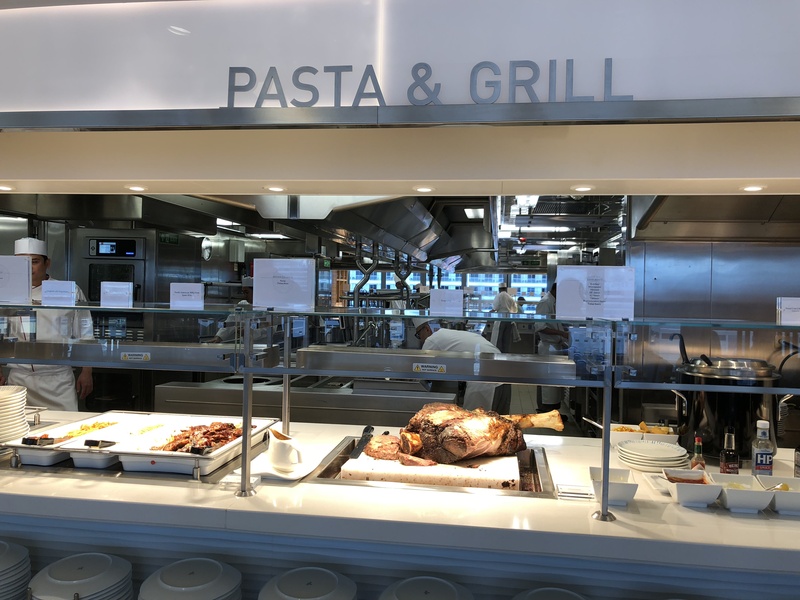 Other breakfast and lunch options include Mamsen’s, located in the Explorer’s Lounge at the front of the ship which is a traditional Scandinavian deli offering snacks and light meals. There’s also the Viking Living Room – an expansive space in the central atrium which offers barista coffee and light snacks. If that’s not enough all staterooms can order room service 24 hours a day. 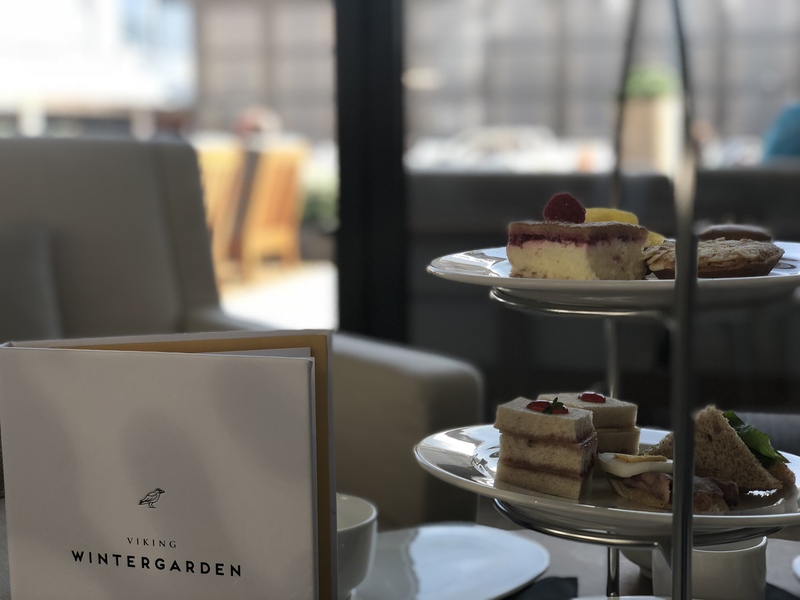 Afternoon tea is a real treat in The Wintergarden, a delightful glass-enclosed space on deck 7 adjacent to the pool. Served from 4pm daily, high tea includes delicate sandwiches, pastries and scones, complemented with tea or coffee. During our cruise this option was extremely popular and a lovely way to pass the afternoon. 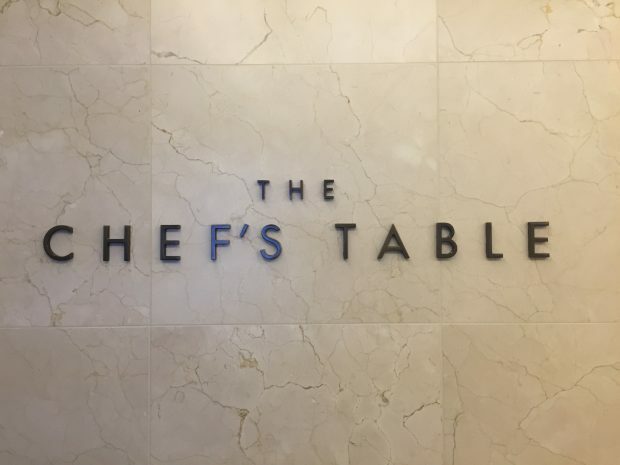 Finally, The Kitchen Table is located on deck 1 between the two specialty restaurants, Manfredi’s and The Chef’s Table. This is a theatre-style venue with cooking demonstrations and plating instructions shown on large screens. Available on selected days during the cruise, the US$249 The Kitchen Table experience is also a shore excursion, with Viking Orion’s Executive Chef leading guests ashore to the local market to handpick ingredients which are prepared together on return to the ship for a very special evening three course meal described as an “unforgettable, one-of-a-kind opportunity to shop, cook and eat with the masters”.